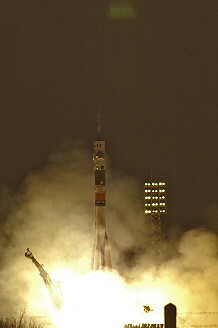 Launch from the Baikonur Cosmodrome; landing 68 km northeast of Arkalyk. 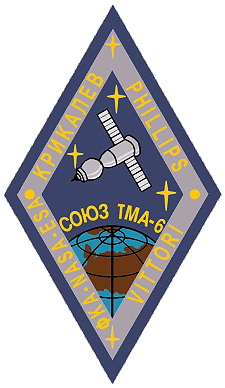 This mission carried out the ISS Expedition 11. They were called a "caretaker" crew. Following a two day solo flight Soyuz TMA-6 docked to ISS on April 17, 2005. 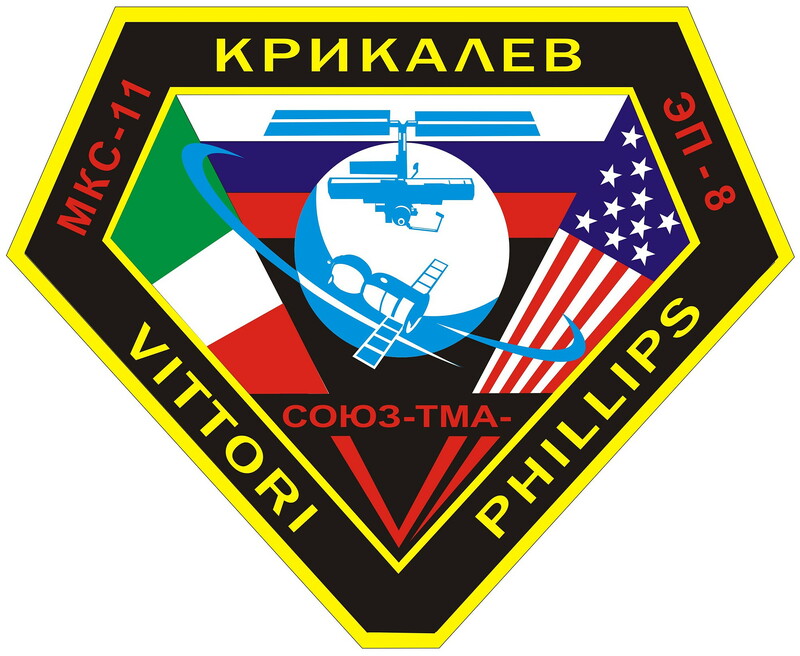 Sergei Krikalyov and John Phillips replaced the Expedition 10 crew. European Space Agency Astronaut Roberto Vittori of Italy launched to the Station with the Expedition 11 crew and spent eight days onboard performing scientific experiments as part of the European ENEIDE program. 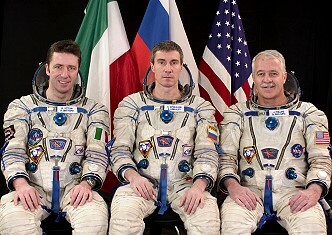 Roberto Vittori returned to Earth with the Expedition 10 crew. He was aboard under a contract between ESA and the Russian Federal Space Agency. 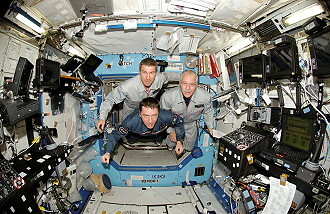 The crew performed routine maintenance, repairing work (for example a faulty restraint cable on the exercise treadmill), scientific research, as FOOT-experiment (Foot/Ground Reaction Forces During Spaceflight experiment) the Miscible Fluids in Microgravity (MFMG) investigation and so on, practicing photography techniques with digital cameras; this techniques were used to capture high resolution images of Space Shuttle Discovery before docking on the station to control the heat shield of the Shuttle. 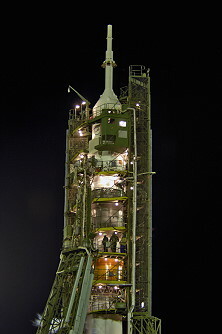 Progress M-53 was launched at 23:09:34 UTC on June 16, 2005. 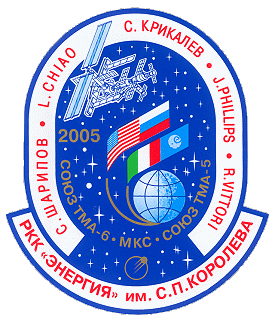 The spacecraft docked with the Aft port of the Zvezda module at 00:41:31 UTC on 19 June 19, 2005. The docking was conducted using the backup TORU system, under the control of cosmonaut Sergei Krikalyov, due to a power failure at one of the spacecraft's ground control stations. Progress M-53 carried supplies to the International Space Station, including food, water and oxygen for the crew and equipment for conducting scientific research. 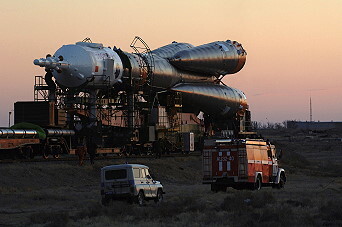 The freighter remained docked for three months before undocking at 10:25:57 UTC on September 07, 2005 to make way for Progress M-54. It was deorbited at 13:26:00 UTC on September 07, 2005. The spacecraft burned up in the atmosphere over the Pacific Ocean, with any remaining debris landing in the ocean at around 14:12:40 UTC. On July 18, 2005 the crew relocated their Soyuz return spacecraft from one docking port to another to free up a Russian airlock for a future spacewalk. On July 28, 2005 STS-114 docked with the International Space Station. STS-114 (ISS LF1/MPLM 2-03) was classified as Logistics Flight 1. The flight carried the Raffaello Multi-Purpose Logistics Module, built by the Italian Space Agency. Also the External Stowage Platform-2, mounting that to the port side of the Quest Airlock. They deployed MISSE-5 to the station's exterior, and replaced one of the ISS's Control Moment Gyroscopes. The CMG and a TPS Repair Box were carried up on the LMC at the rear of the payload bay. The STS-114 mission delivered supplies to the International Space Station. However, the major focus of the mission was testing and evaluating new Space Shuttle flight safety techniques, which included new inspection and repair techniques. The crewmembers used the new Orbiter Boom Sensor System (OBSS) - a set of instruments on a 50-foot (15 m) extension attached to the Canadarm. The OBSS instrument package consists of visual imaging equipment and a Laser Dynamic Range Imager (LDRI) to detect problems with the shuttle's Thermal Protection System (TPS). The crew scanned the leading edges of the wings, the nose cap, and the crew compartment for damage, as well as other potential problem areas engineers wished to inspect based on video taken during lift-off. Discovery's approach to the International Space Station during the STS-114 rendezvous and docking process included an unprecedented maneuver - a back-flip pirouette - enabling Station residents to take digital photographs of the Shuttle's thermal protection system. On the fourth day of the mission, more than 2 ½ years since a Shuttle has delivered supplies to the Station, the crew used the Station's robotic arm to lift an Italian-built cargo module named Raffaello, technically known as a Multi-Purpose Logistics Module (MPLM), out of the Shuttle cargo bay and attached it to the Station. They then began to transfer several tons of supplies and equipment to the Station for use by the Station's Expedition 11 Crew, Commander Sergei Krikalyov and Flight Engineer John Phillips. This was the third trip to the Station for Raffaello, the second of three such cargo carriers to be put into service. 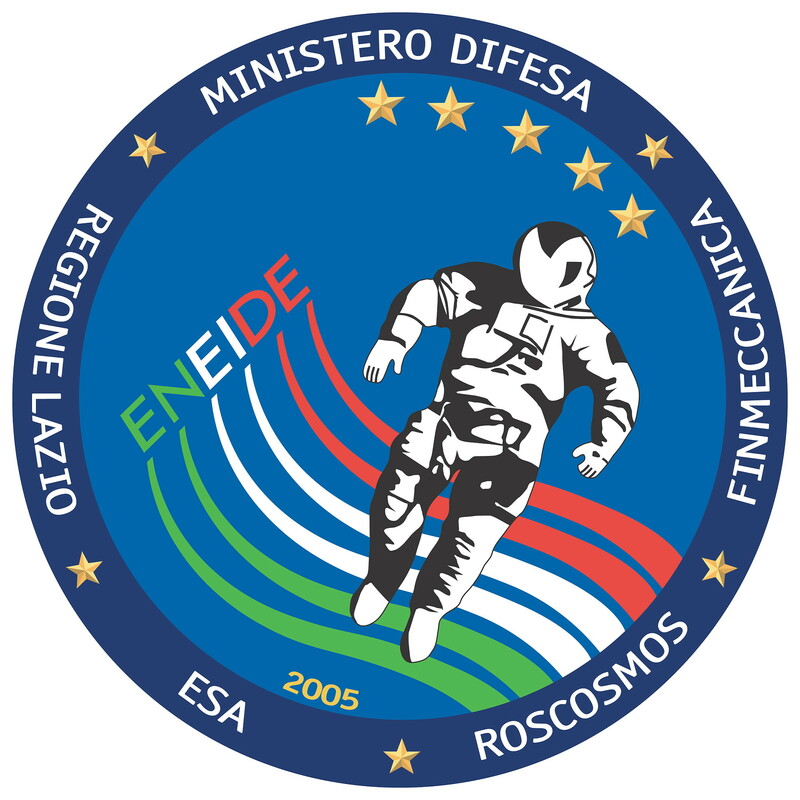 Raffaello flew aboard Endeavour on STS-100 and STS-108 in 2001. In addition, Discovery and its crew transferred water to the Station for use in a variety of applications. The first EVA by Stephen Robinson and Soichi Noguchi occurred on July 30, .2005 (6h 50m) for testing thermal protection system repair techniques and installation of the External Stowage Platform-2 Attachment Device (ESPAD) on the space station. After exiting Discovery's airlock, Soichi Noguchi and Stephen Robinson did their initial setup for the spacewalk. This setup period included a trip to the Space Station's Quest airlock on the Station's robotic arm for Soichi Noguchi to open the hatch and provide an emergency entrance point. The crew lock portion of Quest had been depressurized by the Expedition 11 crew the night before. Quest's outer hatch remained open until all three EVAs were completed. Soichi Noguchi closed a thermal cover over the open hatch before returning to Discovery's payload bay to begin the thermal protection repair tests, known as Detailed Test Objective 848 (DTO 848). For DTO 848, the two spacewalkers assisted one another side-by-side in Discovery's cargo bay at a pallet carrying a variety of damaged Shuttle tiles and Reinforced Carbon-Carbon (RCC) samples. Soichi Noguchi and Stephen Robinson had half an hour each to perform their DTO tasks, with 25 additional minutes allocated for cleanup at the tests. Soichi Noguchi worked on tile repair, demonstrating the use of an Emittance Wash Applicator (EWA) and associated tools. The EWA is a dauber-like applicator, used to apply the sticky, caulk-like mixture of fine-grit silicon carbide (SiC) granules and room temperature vulcanizing (RTV) material to exposed tile substrate. Other tools used with this repair technique include foam brushes to cover areas that the larger EWA applicator cannot, and wipes to remove excess material from spacesuits, gloves or tools. His part of the DTO was considered fully successful if one 4-by-4-inch (10-by-10 centimeters) area of exposed substrate is covered. In the "Emittance Wash Applicator dispenses a mixture of fine-grit silicon carbide (SiC) granules and room temperature vulcanizing (RTV) material" application, an emittance wash would be used to repair shallow tile damage. The silicon tiles used in the Shuttle's thermal protection system both reject heat and insulate. The white silicon substrate provides insulation, while the black reaction-cured glass (RCG) coating rejects heat. The ability of a material to reject heat is measured in terms of its "emissivity". The RCG coating on tiles has a high emissivity value, while the white substrate has a lower emissivity value, especially as temperatures rise. The science behind the emittance wash repair involves replacing a damaged tile's coating to restore its ability to reject the high temperatures of atmospheric entry. The emittance wash wicks into the tile substrate, providing an adhesive bond, and a high emissivity, or heat rejection value. For small, shallow areas of damage, replacing the RCG coating with the emittance wash will restore enough heat rejection capability for safe entry. Afterward, Stephen Robinson worked with the RCC crack repair technique. He used a space-hardened caulk gun to dispense a pre-ceramic polymer sealant impregnated with carbon-silicon carbide powder, together known as NOAX (short for Non-Oxide Adhesive eXperimental). Using one of two caulk guns in the crack repair kit, Stephen Robinson dispensed the material onto one of two pallets, similar to those used for plastering. He then used one of two scrapers, similar to putty knives, to work the crack repair material into a pre-damaged RCC sample mounted in the DTO pallet. There were four cracks and two gouges on the RCC sample, and his portion of the DTO was deemed successful if one crack and one gouge are repaired. NASA materials experts have estimated that cracks or coating damage as small as 2 inches (5 centimeters) long and .02 of an inch (5 mm) wide in some locations on the Shuttle's wing leading edge could result in catastrophic damage to that wing. The crack filling method was designed to fix the type of damage most likely to be caused by small pieces of foam coming off the redesigned external tank. NOAX can be used at any RCC location, and does not require any physical modification of the RCC before affecting a repair. It was expected to repair cracks or coating losses up to four inches (10 centimeters) long, but cannot be used to repair holes. While NOAX initially was thought to need a heater to prepare the RCC surface for application and post-application curing, recent tests on the ground have shown promising results that heating the damaged area and the material may not be required. No heaters were used in the STS-114 tests. After the DTO 848 tasks were complete, the spacewalkers worked to clean up the work area around the DTO pallet before moving on to their assembly get-ahead work. The lid to the sample box was left open until the end of the EVA to allow the OBSS sensors to scan the damaged samples in the box. Removing the External Stowage Platform-2 (ESP-2) Attachment Device (ESPAD) from its Lightweight Multi-Purpose External Support Structure (MPESS) and installing it on the side of the Space Station airlock was the first of those get-ahead tasks. ESPAD is a two-part mechanism, with one part containing the active ESPAD claw, which will provide a temporary structural connection for the ESP-2 when it is first installed. The other half is passive and will remain connected to ESP-2, eventually being grabbed by the claw and then firmly bolted to the active member. They were assisted by James Kelly and Wendy Lawrence inside the Space Station, operating the Station's robotic arm, and by Andrew Thomas inside the Shuttle, who relayed information and instructions from Mission Control. Stephen Robinson's first job was to install an Articulating Portable Foot Restraint (APFR) into the Latching End Effector (LEE) of the Station's 80-foot-long robotic arm. As a free-floater still, he verified that the ESPAD claw is open. He moved a pivoting strut out of the way so that he could remove the first of three bolts which hold the active ESPAD in place for launch. He returned the strut to its original position, and then used a Pistol Grip Tool (PGT), which is a portable drill modified for use in space, to release mounting locks for the Enhanced Universal Truss Attachment System (EUTAS) that was used to attach the active ESPAD member to the airlock structure. The mounting locks were installed pre-flight to prevent vibrations from damaging the EUTAS mechanism. The EUTAS used two knuckled hand-tightening knobs; both could gimble and one could slide to ensure good alignment with the structural members to which they were attached. Once the EUTAS locks were released, he stepped into the foot restraint on the end of the Station's robotic arm and used the PGT to loosen the last two ESPAD launch bolts. After separating the active and passive members, the Station arm was commanded to move Stephen Robinson and the ESPAD from the cargo bay to the Quest airlock trunnions and soft dock the ESPAD with Soichi Noguchi available for guidance. Stephen Robinson hand-tightened the two EUTAS bolts and verified they were tightened well enough to temporarily hold it in place. Then, he used the PGT to finish tightening the bolts and engaged their locking mechanisms. Soichi Noguchi deployed the strut and attached it to a fitting on the Quest airlock. At this point, the ESPAD was ready to structurally accept the ESP-2 on the third spacewalk of the mission. On July 30, 2005, NASA announced that STS-114 would be extended for one day, so that Discovery's crew could help the ISS crew maintain the station while the shuttle fleet is grounded. The extra day was also used to move more items from the shuttle to the ISS, as uncertainty mounted during the mission as to when a shuttle will next visit the station. The orbiter's arrival also gave the nearly 200-ton space station a free altitude boost of about 4,000 feet (1,220 m). The station loses about 100 feet (30 m) of altitude a day. During this same period, Soichi Noguchi's first job was to pre-route the 20-foot-long (6.1 meters) primary cable that will connect the ESPAD to power connections on the end cone of the Unity connecting module. First, he collected the primary and secondary ESP-2 cables from their launch stowage location in the cargo bay and moved hand-over-hand via handrails to the junction of the Unity module and the Station's truss structure near the Destiny module. At the Crew Equipment Translation Aid (CETA) spur, which bridges the gap between Unity and the truss, he temporarily stowed the secondary cable and moved to the Unity end cone adjacent to Destiny's end cone with the primary cable. 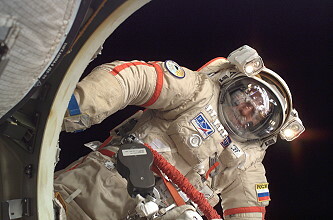 He connected one end of the primary cable to a jack on Unity and stowed the rest of the cable on a handrail for later attachment on EVA-3. Next, Soichi Noguchi moved back to the Quest airlock, opened the thermal cover, and retrieved an Orbital Replacement Unit (ORU) bag containing a Global Positioning System (GPS) antenna and another bag containing Control Moment Gyroscope (CMG) get-ahead equipment and stowed them at the Station toolbox on the side of the airlock. With this complete, he moved to the ESPAD installation location to help Stephen Robinson. The second EVA was performed by Stephen Robinson and Soichi Noguchi on August 01, 2005 (7h 14m) to replace a failed International Space Station attitude control gyroscope. The sole objective of EVA-2 was the removal and replacement of a failed Control Moment Gyroscope from the Station's Z1 truss. 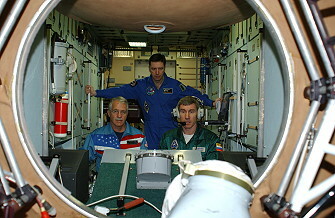 The old CMG failed in June 2002; since then, the Station had used the remaining three CMGs to maintain and adjust the Station's attitude, or orientation, relative to the Earth. At this stage of the assembly sequence, two CMGs are sufficient to control the Station's attitude. The third functioning CMG provides the necessary amount of redundancy, or backup. However, later in the assembly sequence, the Station will become less symmetrical and a minimum of three CMGs will be needed to maintain attitude. So, four healthy gyroscopes will be needed to control the Station's orientation relative to the Earth and offer a backup if another gyroscope were to fail. Each gyroscope weighs 620 pounds (281 kg) and is about the size of a washing machine. Each has a reaction wheel that spins at a constant speed of 6,600 revolutions per minute. Flight controllers on the ground can use guidance and navigation software to reposition the direction of the gyros' spin axes. Repositioning these axes causes the CMGs to generate torque. This torque is transferred to the Station's structure, counteracting the gravitational and drags forces to maintain attitude or to induce changes to the Station's orientation. After exiting the Shuttle airlock, Soichi Noguchi and Stephen Robinson made sure their spacesuits and tools are in order and worked their way hand-over-hand to the Z1 truss. Soichi Noguchi stepped into an APFR on the Space Station's robotic arm, which again was controlled by James Kelly and Wendy Lawrence. The pair worked together to peel back and secure the multilayer insulation thermal shroud covering CMG-1. After receiving confirmation from Andrew Thomas inside the Shuttle and Mission Control, Soichi Noguchi disconnected four power and data cables and tied them out of the way. Next they loosened the bolts holding the CMG in its support structure; Soichi Noguchi loosened four bolts and Stephen Robinson two bolts using PGTs. When all six were loosened, Stephen Robinson wiggled the CMG to make sure it is not binding. Each spacewalker then removed two launch shims designed to provide a snug fit for the CMG in it's support structure. Soichi Noguchi removed four captive bolts and Stephen Robinson two, then lifted the CMG out of its cradle. Stephen Robinson used his helmet-mounted video camera to send inspection views of the cavity to Mission Control for evaluation. James Kelly and Wendy Lawrence used Canadarm2 to swing Soichi Noguchi and the failed CMG back to Discovery's payload bay and the Lightweight Mission Peculiar Equipment Support Structure Carrier (LMC). While Soichi Noguchi was in transit, Stephen Robinson moved back to the cargo bay and position two "ball stacks", which were temporary holding arms, to the CMG carrier. When Soichi Noguchi arrived with the old CMG, the pair secured it to one of these ball stacks. Still on the end of the Station's robotic arm, Soichi Noguchi held the new CMG while Stephen Robinson disconnected it from the ball stack holding it to the CMG carrier. Arm operators maneuvered Soichi Noguchi and the new CMG to the Z1 truss, where Soichi Noguchi inserted the new CMG into the empty cavity. Meanwhile, Stephen Robinson moved back to the Z1, managing tethers and reporting clearances to help the robotic arm operators. Once the new CMG was "soft docked" in its cavity (no shims are required), Soichi Noguchi tightened four bolts and Stephen Robinson two. After applying the right amount of torque to the bolts using PGTs, the pair secured the new attitude control device. In careful coordinating with ground controllers, Soichi Noguchi mated four connectors to the jacks in the Z1 truss. He and Stephen Robinson then reinstalled the thermal shroud over the new CMG, reinstalled the floodlight, and moved back to the cargo bay for cleanup and return to the Shuttle airlock. 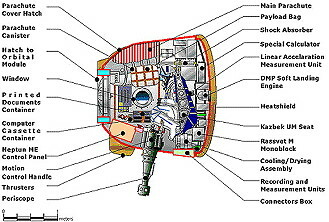 The third and final EVA by Stephen Robinson and Soichi Noguchi was conducted on August 03, 2005 (6h 01m) to attach a massive external tool box to the space station's Quest airlock module, mounting an experiment package on the top of the station's solar array truss, and remove two "gap fillers" sticking up between heat shield tiles on Discovery's belly. On tap are installation of a camera and illuminator package on the port truss structure of the Station, installation of ESP-2, retrieval of two Materials International Space Station Experiment (MISSE) packages and the installation of one new package, MISSE 5 - the first such experiment to have battery power and wireless data transmission capabilities. After exiting the Shuttle airlock with the camera group and ensuring their suits and tools were ready, Soichi Noguchi went to the Video Stanchion Support Assembly (VSSA) in the cargo bay to retrieve the stanchion, while Stephen Robinson removed an orbiter power cable from ESP-2 in preparation for it's removal. Soichi Noguchi removed two launch bolts and floated with the stanchion to the port side of the Shuttle's docking system, positioning it so that Stephen Robinson could remove several bolts holding a connector-protecting dummy box. Next, Stephen Robinson installed the camera group in its stanchion and secured it with three bolts using a PGT. Together, they moved hand-over-hand to the Camera Position 9 worksite at the end of the P1 truss on the Earth-facing side. Soichi Noguchi positioned the stanchion and used a PGT to engage one bolt that anchors the package to the truss. While Stephen Robinson removed one end of the power and data cables from dummy jacks on the VSSA, Soichi Noguchi removed dust caps from the real jacks on the P1 truss and then mated the three cable connectors to the appropriate jacks. Stephen Robinson removed a protective cover from the illuminator and unlocked the camera's pan and tilt mechanism. The last planned task of EVA 3 was the retrieval of two materials exposure experiments and the installation of a new one. Stephen Robinson used handrails to move to the end of the Quest crew lock and took photos of the MISSE 2 experiment package before closing the experiment housing, releasing two PIP pins and removing the suitcase-like package. He placed MISSE 2 in the Quest crew lock for temporary storage, then went to the MISSE 1 location. There, on the Earth-facing side of one of the dog house-shaped oxygen tanks mounted on the exterior of Quest's equipment lock, he performed the same steps on MISSE 2 and closed the airlock thermal cover. Meanwhile, Soichi Noguchi went to the Station airlock and retrieved a spare tether, a clamp and MISSE 5. Moving along handrails, he travelled to the uppermost point on the Space Station, the top of the P6 truss that holds the two large banks of American solar arrays. There, he installed the clamp on a handrail on the P6's aft trunnion and locked MISSE 5 in place. Soichi Noguchi turned the suitcase-like experiment inside-out, exposing its material samples to space. He ensured that the wireless antennas that were used to transfer data were deployed. Those antennas function in the same way that the Station's amateur radio antennas do, and will allow commands to be sent to the experiment package. Telemetry from the experiments will be transmitted every three minutes to the United States Naval Academy near Washington, D.C. or other amateur radio receiving stations around the world. Soichi Noguchi verified that the electronics were turned on before heading back to the Quest hatch. The removal of two "gap fillers" sticking up between heat shield tiles on Discovery's belly was an additional task. If it were not possible to pull the fillers out then the protruding sections could have been simply cut off. The gap fillers are made of a cloth impregnated with ceramic - they are stiff and can be easily cut with a tool similar to a hacksaw blade. Protruding gap fillers are a problem because they disrupt the normally laminar air flow under the orbiter during reentry, which causes turbulence at lower speeds. A turbulent air flow results in a mixing of hot and cold air which can have a major effect on the shuttle temperature. According to NASA, the gap fillers, which each serve different purposes, are not required for reentry. One filler prevents "chattering" of tiles during ascent, which would occur due to the sonic booms from the noses of the solid rocket boosters and the external fuel tank. The other, in a different location where there is a wider gap between tiles, simply functions to reduce the gap size between tiles, which in turn reduces heat transfer to the shuttle. Even without this filler NASA did not expect the increased heat to cause a problem during reentry (it is present to avoid a level of heating which would only be problematic if experienced many times over a vehicle's design life). Since the gap fillers are not necessary for re-entry, it was acceptable to simply pull them out. An overview of the situation, including procedures for dealing with the protrusions were sent electronically to the crew and printed aboard the shuttle. On August 06, 2005 STS-114 backed away from the ISS to a distance of about 450 feet (137.2 meters), where James Kelly initiated a maneuver to fly the Shuttle directly above the Station. At that point, he fired Discovery's jets to depart the vicinity of the Station for the final time. 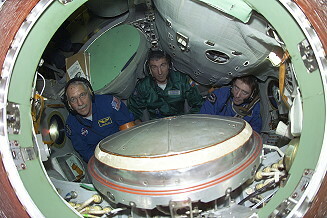 The only EVA in this expedition was performed by Sergei Krikalyov and John Phillips on August 18, 2005 (4h 58m) to change out a Russian biological experiment, retrieve some radiation sensors, remove a Japanese materials science experiment, photograph a Russian materials experiment, install a television camera and relocate a grapple fixture. 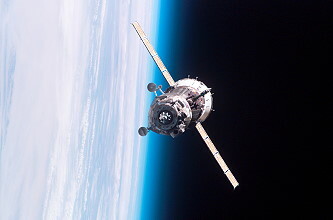 On September 07, 2005 the unpiloted Progress spacecraft M-54 undocked from the station and was deorbited, to make way for the arrival of Progress M-54 which docked in September 2008 and transferred around 2300 kg of cargo, (fuel, water, and dry cargo including oxygen generators) to the station. Progress M-54 was launched at 13:07:54 UTC on September 08, 2005. The spacecraft docked with the Aft port of the Zvezda module at 14:42:03 UTC on September 10, 2005. Progress M-54 carried supplies to the International Space Station, including food, water and oxygen for the crew and equipment for conducting scientific research. It also carried the radio transmitter for the RadioSkaf satellite, which was assembled aboard the ISS using a retired Orlan spacesuit. The freighter remained docked for six months before undocking at 10:06:10 UTC on March 03, 2006. 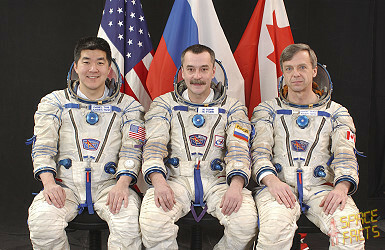 It was deorbited at 13:05:00 UTC on March 03, 2006. 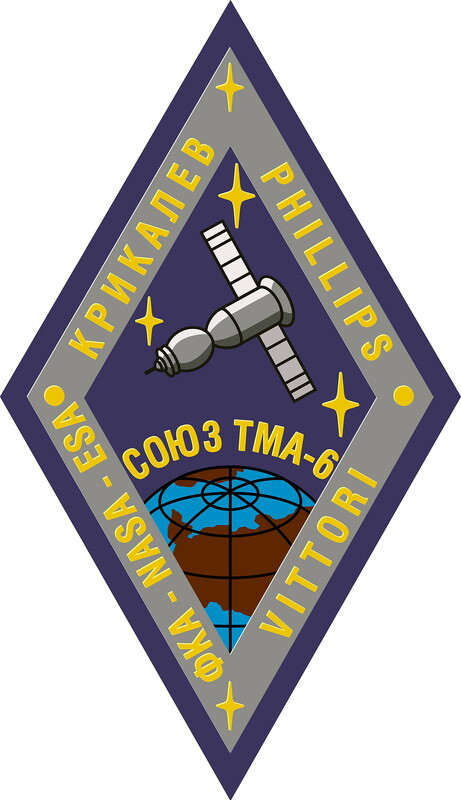 The spacecraft burned up in the atmosphere over the Pacific Ocean, with any remaining debris landing in the ocean at around 13:52:18 UTC. Volny (Waves: Observation in near Infrared Spectral Band Undulatory Disturbance in the Middle Atmosphere Layers of the Earth of Technogenic and Naturally Occurring Origin). 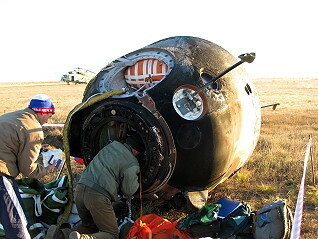 Roberto Vittori landed on April 26, 2005 at 22:08:27.2 UTC with Soyuz TMA-5 spacecraft. Last update on August 27, 2018.